There is no doubt that the internet has changed the way people shop. Customers are now more empowered than ever, and expect much more from the shops they frequent. In this post we will look in to the specific steps that brick and mortar retailers can take to be able to do all of the above and more without ever having to open an E-commerce store. Use a loyalty program for customer tracking. Loyalty cards are not just an effective way to encourage repeat business. They help you monitor what a customer buys, how often that customer buys, and how much he/she spends. Complete a feedback form. Using feedback forms is a clumsier way of tracking customer satisfaction, preferences, and experience; but it can offer some level of insight. Remember that you will need to offer some sort of incentive for completion, otherwise you are unlikely to receive much response. Measure footfall. It is important to measure data, even if it is only at a basic level, such as monitoring the amount of visitors to your shop. Ask a member of staff to keep tabs on how many people walk through the door; in order to get an idea of when your busiest times are. This can help you pinpoint customer trends, not to mention successfully manage your staff, to ensure you have got enough hands on deck during busier periods. Testimonials and reviews have always been powerful business driver. A glowing review achieves something that not even the most expertly written piece of sales copy can do; it offers new customers an unbiased, credible opinion of the product. You will notice that plenty of online stores use testimonials and reviews to increase sales. It is important that you do the same. Whenever you receive a review, ask the customer if they can post it online to your Google+ page so that it shows up when people Google your store. Ask if it is okay to use the review in your marketing material; on a poster in your store, in an ad in a local magazine, or in your business brochure. Unsure how to get reviews for your products? Ask your customers for comments on your social media pages or via email. If a customer says something complimentary after a sale, ask if they would mind you writing it down and using it for marketing purposes. In short, seize every opportunity that you can. Very few brick and mortar stores are reaching out to their customers directly with relevant promotional messaging. This is mainly because they do not know what to say. E-commerce stores are always targeting adverts at their customers based on what they have bought, which pages they have visited, and what they have clicked on within the online store. While offline retailers can not target users based on what they are browsing in-store, they can send targeted email and SMS promotions to their best customers based on what they have bought in the past. If you are using an online rewards program that enables you to do more than just gather customer buying data; you can easily set up and automate the sending of promotional messages to specific sets of customers based on their buying behaviour. Using The Loyalty Box rewards program, you can offer virtually any kind of incentive, based on in-depth knowledge of the customer. For example, if Tuesday is your quietest day, you could offer your loyalty card holders a special deal for this day only, to encourage them to pay a visit to your store. You could offer a free restaurant voucher for all those who use their cards a certain amount of times in a month. One of the biggest advantages of using a loyalty program, is your ability to impact buying behaviour. For example, if you are running a beauty salon, you can create a promotion that gives regular manicure customers 50% off their pedicures. Once they become used to getting pedicures, they do not need the incentive anymore and will come in for both regardless of whether you are running the promotion. You are now making twice as much from regular customers. It is vital to get your CRM right, if you want your brick and mortar stores to flourish. After all, your customers are what keeps your business going, and if you want to grow, you need to match your services with their exact requirements. And whether or not you like the idea of E-commerce stores, there are many ways that you can adapt their competitive advantages to your offline retail shops. 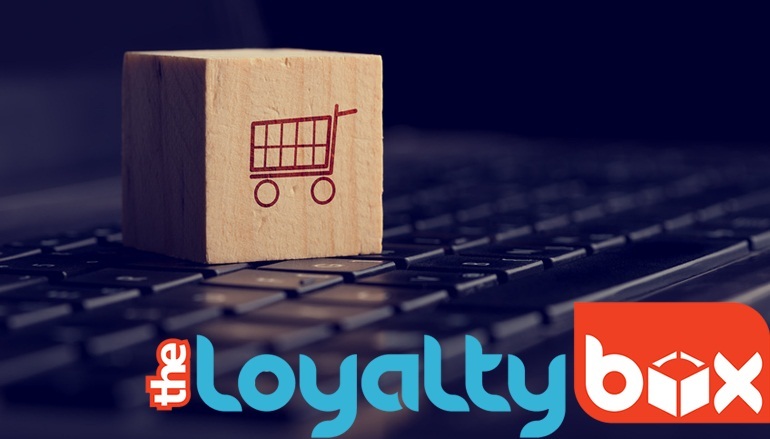 For more information about the loyalty software mentioned in this piece, contact The Loyalty Box today!